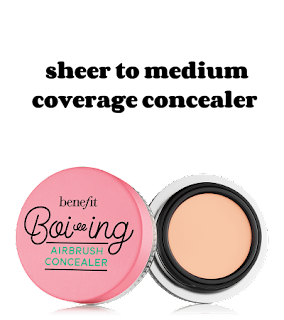 Recently, Benefit Cosmetics changed the PACKAGING (not formula or shade selection) for ALL of their concealers. My pictures are of the OLD PACKAGING. I also included pictures of the NEW PACKAGING, along with their descriptions below. 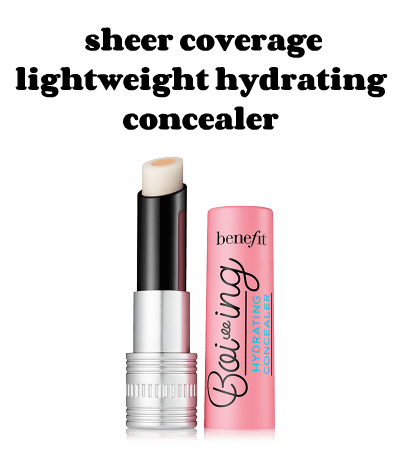 In 2012, I gave Benefit's Boi-ing Industrial Strength Concealer a SWEET rating. I felt it concealed problem areas very well. It still does, as you can see from my picture below. It's now 2017 ... I know a lot more about makeup and I'm downgrading it to Bittersweet. There are two major reasons! One, this concealer is only offered in three (3) shades: light, light/medium and medium. If that is not limited, I don't know what is! This is 2017 Benefit Cosmetics! When are you going to start expanding your shade selection to include people of color? You took time to change your packaging, but didn't take time to expand your shade selection? That would've been THE BEST time to make changes. Secondly, back in 2014 I tried their Big Easy Foundation. I swatched the darker shades and it pulled ORANGE on my skin when I went outside (in the outside light)! I've never tried their Hello Flawless Foundation, which is offered in ten (10) shades. But now after re-trying my Benefit Boing Concealer, IT PULLS ORANGE! I made a gif of it on my hand and if you look on the left ... as my hand turns, it's orange. If you're fair or light, their foundations/concealers shouldn't be a problem. But medium skin tones on up, should swatch and GO OUTSIDE to make sure it doesn't look orange on you. I just feel Benefit needs to do more testing on people of color. They can be so hit or miss. I hate that they have repackaged it but not addressed the ridiculous lack of shades. Surely these will work on practically no one? It's a real shame it has an orange tone to it too. Huh, that is very limited regarding the shade range. I probably would not have noticed, as I am usually in the fair spectrum, but I agree, in 2017 there should be more diversity. There are a lot of Benefit products I love, but their concealers and foundations are not among them. The shade range accommodates almost no one and the shades that do exist always leave an orange finish - very disappointing, I think. Wow that shade range is really disappointing and surprising. I loved the Hello Flawless formula but never found a good shade for my skin either. Thats so annoying that they old have 3 shades. I'm pretty sure I tried this before and it didn't work for me either. I love the packaging and I do think that 3 shades falls short of what in needed in the market. Also I like the idea of reviewing items again, after you have tried so many other products as it changes your perspective. I've never tried this because of the shade range! Benefit really should expand it. I tried a sample of the hello flawless foundation a really long time ago, and I remember not liking it and the shade looks strange on me! Maybe they need to work on their shade range for their face products as s whole! 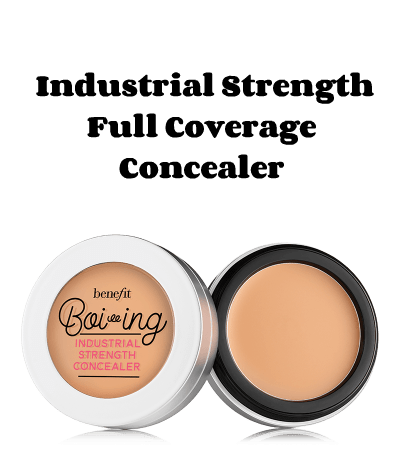 I have not tried any Benefit concealers, but I do like their Erase Paste. Such a shame it didn't work for you. But good thing you have others you like! I find that I never have great results with Benefit when it comes to shade ranges. This brand just doesn't do it for me. Wow, I never knew a concealer could turn orange. I will skip this one too. Benefit really needs to do better! I think in this day and age, addressing an issue with limited shades to include POC should definitely take precedence over updating your packaging.